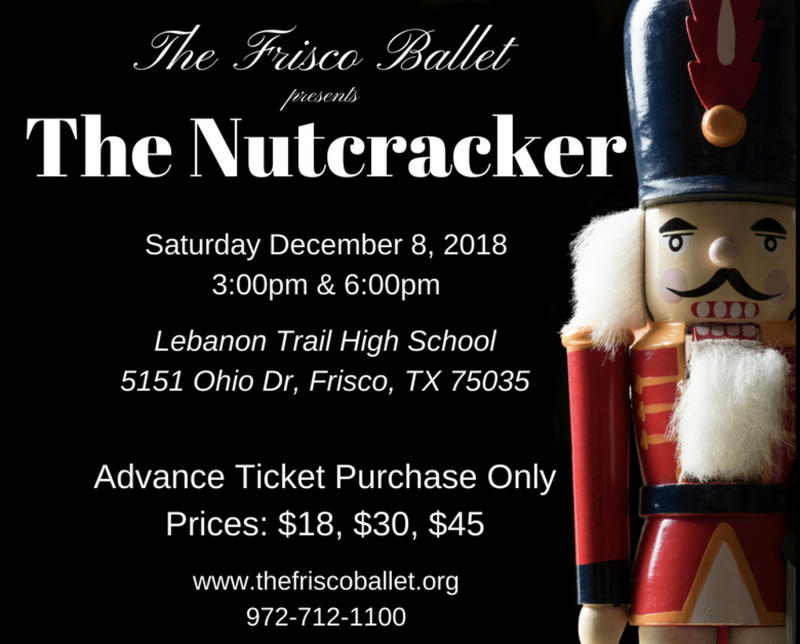 Come experience The Frisco Ballet's performance of The Nutcracker this holiday season. There will be two performances both held at Lebanon Trail High School in Frisco. Please make every effort to purchase your troop's tickets together in a single transaction. You will be required to provide your troop number, troop leader name or attending representative. The Frisco Ballet is proud to provide each girl scout a 2018 Nutcracker patch with ticket purchase. Patches are distributed to the troop leader or attending representative. Copyright 2018 The Frisco Ballet. A 501(c)3 non-profit organization. All Rights Reserved.